How do I know if my wheels need re-alignment? A misalignment may have been caused by hitting a kerb or pothole, worn suspension parts, or simply because it was misadjusted previously. If your car is pulling to one side. Your steering wheel is crooked when the wheels are driving straight. Why should I have my wheels aligned? Over time wheels become misaligned by a combination of hitting bumps or holes in the road, the odd clipped kerb, or just wear and tear. Having your wheel alignment checked and adjusted is important because it helps to maintain the balance between the wheels on your vehicle and their alignment with the road surface. Correctly aligned wheels mean that your car will have a improved and more evenly distributed grip on the road, which improves the safety, handling and performance of your vehicle. Having your wheels aligned also means that your tyres will wear more evenly, which will extend their lifespan and save you money on both tyres and fuel. 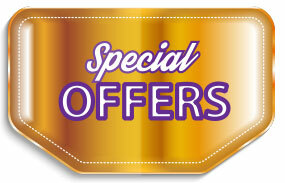 At SLP Autos we have the latest computerised four wheel alignment equipment on site. This system allows our technicians to assess the alignment of each wheel independently, make accurate adjustments and fine-tune the alignment of all four wheels. 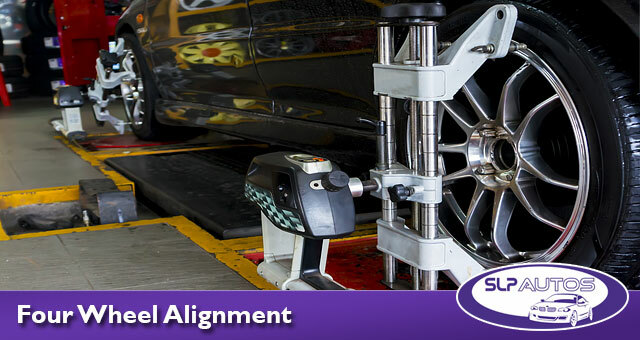 The four wheel alignment process typically takes around 45 minutes to complete.